Meerufenfushi or Meeru as it is fondly known is a lovely romantic resort with a beautiful setting and fantastic facilities. Reached by either seaplane or speedboat your perfect Maldives paradise awaits. 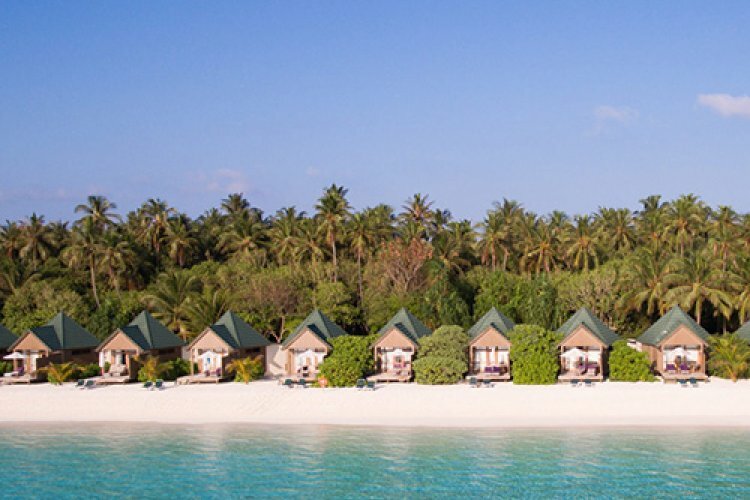 Maldives holidays at the Meerufenfushi not only offer a varied range of accommodation but also a wide range of land or water based activities too. Leading Rooms are the Land Villas but for those wanting to hear the waves lapping around them why not choose the Jacuzzi Water Villas or for total privacy there are two Honeymoon Suites which are located within the Lagoon and are reached by row boat. Kick off those shoes when you arrive and enter your Maldives hideaway. Meeru is a fabulous Maldives resort. Swim in it's crystal clear waters or watch the sun go down around the beachside pool. Paradise is not far away. The island does not compare well to others. Vegetation needs cutting back, dark and dangerous to walk at night. Some staff not friendly and disappointed that all inclusive did not mean that at all.